What are you mixing up for the holidays? Why let spirits have all the fun – wine can make a great base for cocktail too! Make magnificent mulled wine, construct a spectacular sangria or find your favourite fizz with a sparkling wine cocktail – just to name a few. 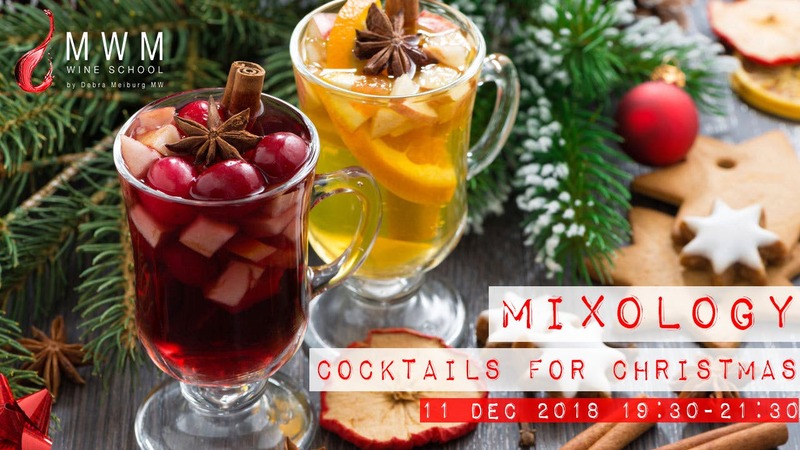 Our Certified Spirits Educator Eddie Nara will delve into the history of holiday drinks, share his mixology tips and tricks, and mix up creative and tasty cocktails for the designed especially for the holiday season. Eddie Nara was born in Hong Kong with Japanese and Taiwanese roots. He was educated in Hong Kong and Canada. A Certified Trainer of the Whisky Ambassador program, a Certified Spirits Educator, and an international Spirit Judge. Eddie is an independent Whisky Educator and Consultant. He conducts master classes on behalf of the whisk(e)y trade and hosts tastings for corporate clients. Eddie was the Founding Chairman of Hong Kong’s first whisky appreciation society.